I’ve talked about this before here, but I wanted to make sure I had it in a comic. Henry loves Masters of the Universe, the Fleischer Brothers/Famous Studios Superman cartoons, and recently he’s been watching a lot of old Spider-Man cartoons. Funnily enough, we don’t watch the Spidey cartoons form 1967; I find them to be pretty unwatchable. No, Henry (and Elliot) go in big for Spider-Man and his Amazing Friends, the cartoon series that aired on NBC in the Eighties. I was too young for that one when it was originally on, but I’ve watched a couple of episodes with the boys and it’s not horrible. As a superhero comic book fan, I would have appreciated how many guest starts the show accommodated if I had seen it then. Via Spider-Man and his Amazing Friends, the boys are now fans of Thor, Captain America, and The X-Men. In particular, the show seems to be X-Men crazy, with a bunch of episodes focusing on them. I know Marvel had been trying like crazy to get an X-Men cartoon series off the ground at the time… perhaps this was their sneaky, backdoor way of getting the characters into cartoons. 1. Jamba Juice (Was addicted to them in New York, especially their Orange Dream Machine smoothie. We don’t have them in Ohio… I think the closest one to us is in Chicago, yes I checked). 4. 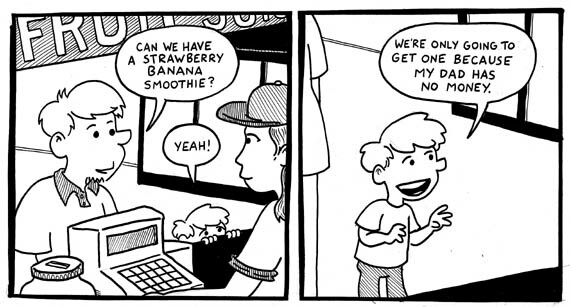 Tropical Smoothie Cafe (Only went here once. I had a coupon. The smoothie I got was kind of gross with huge chips of ice. If someone from the Tropical Smoothie Cafe is reading this and wants to send me some free vouchers, I will give your establishment another chance). 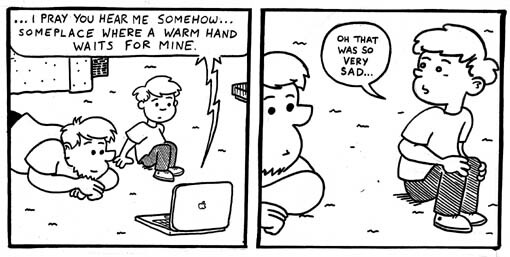 One of the reasons I wanted to draw comics about my family this summer has been Henry. He’s gotten the short end of the stick insofar as my artistic attentions, since his birth coincided with my decision to focus on my work like rather than my home life. Elliot has a nice collection of comics detailing his baby years and even into his toddler era… but Henry has no such documentation. At any rate, Henry wants to be drawn naked because I did, in fact, draw him naked in one of my sketchbooks earlier this year. …so here we go! I have a couple of final thoughts on teaching the journalism class; they will make their way here… eventually. I’m not rushing it. In the meantime, I thought I’d start posting my summer journal comics. I’m trying something slightly different with this run of strips. I’m not sure if it’ll be a success, but so far I’m liking what I’m putting in my sketchbook. Since that is not always the case, I’ll just run with it and see where it goes. 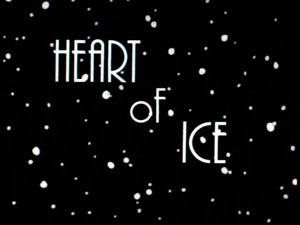 The animated introduction of Mister Freeze, if you’ve never seen Heart of Ice… or you only know the Bat-villain from his horrible outing in that awful Batman and Robin flick with Ah-nuld… do yourself a favor and seek it out. It’s fantastic and surprisingly moving. Here’s a link to the final, heartbreaking minute of the episode, but watching the whole thing is highly recommended. 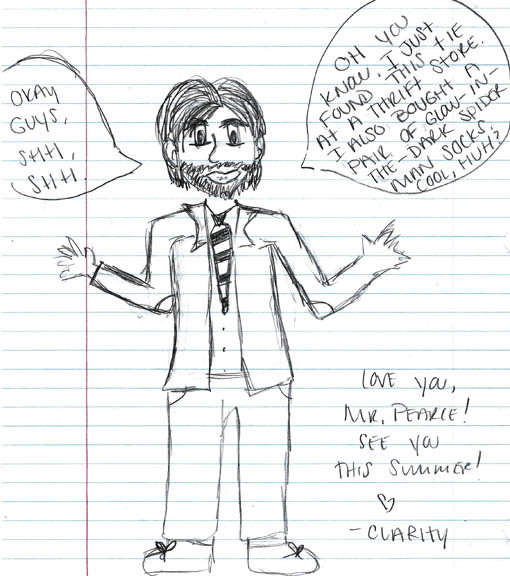 Every year on my final exam, I give students a one point bonus if (after they are finished with the scholastic portion of the test) they draw a picture of me. I spend the better part of the year drawing pictures of myself on the chalkboard, so I’m interested to see what their take on me is. I got a lot of great drawings and sketches this year and I’m going to take a couple of Sundays out of the summer to show them off. This week’s drawings come from the seniors in my Media and the Pen class. Boy oh boy, I would have thought Saturday Morning NBComics would have been the final word on comic books created and published about NBC’s slate of Saturday morning cartoons… but I would have been wrong! 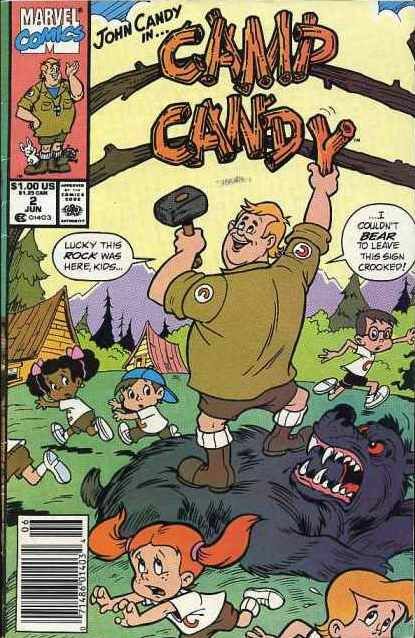 Today’s thrift store find is Camp Candy #2, published by Marvel Comics in June of 1990. under the Star Comics imprint. Cover price was $1 dollar, American. Finished! The 2011-2012 school year is in the books, folks… the history books. The history books that write about how school years end. Every year. Very boring, unnecessary history books that no one ever looks at. Where was I? Oh yes, summer vacation. We’ve got some tentative plans for the next few weeks. Ellen and I may be taking the boys on a mini-vacation somewhere next week. I know we’ll be spending about two weeks in New York this July… or rather, a week or so in New York and then one week on the New Jersey shore. We have a couple of friends who are visiting Ohio in August. Somewhere along the line, I made the command decision to spend a huge chunk of my summer working; I’m going to be teaching two reclamation courses for students at my school who did not pass the Ohio Graduation Test. I’ve taught the same class for the past three years and it’s a pretty good thing; the students who attend are VERY serious about getting finished with this test and we normally get a chance to do some good work. Besides that? Yardwork, I guess- our fence is looking like garbage and I have to replace it. The battery on our electric lawnmower just broke, so that needs to be replaced. I’m going to paint the downstairs bathroom; it’s been adorned with the world’s ugliest wallpaper since we moved in three years ago. Ellen and I embarked on another of our great summer TV marathons this week. You may remember two summers ago, Ellen fell in love with Veronica Mars. Last summer I became obsessed with Doctor Who. 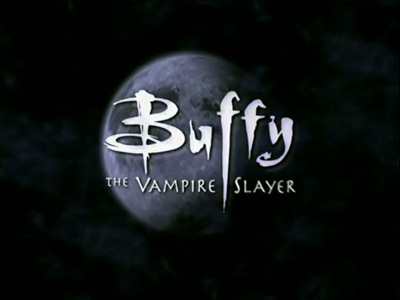 This year, after much cajoling, Ellen agreed to give Buffy the Vampire Slayer a try. I figured this was a natural progression for Ellen. As I said, she already loves Veronica Mars, which takes a lot of its’ lead from the Buffy template. Ellen also loves Joss Whedon’s work on Firefly and Serenity. For my part, I’ve been a fan of B:TVS since the beginning and I’ve been looking for a reason to see if the show continues to hold up today. Cordelia: Well, you’ll be okay here. If you hang with me and mine, you’ll be accepted in no time. Of course, we do have to test your coolness factor. You’re from L.A., so you can skip the written, but let’s see. Vamp nail polish? Buffy Summers: He needs to call me. …JAMES SPADER. Like… he was almost 40 years old in 1997. I’m not saying he wasn’t a good looking man, I’m just saying it’s a weird choice to use James Spader as your go-to “hunky guy” example when you’re establishing your protagonist. Then again, Buffy does end up falling for Angel, an almost 300 year old vampire. Perhaps she just has a thing for older men? You are currently browsing the Teachable Moments blog archives for May, 2012.